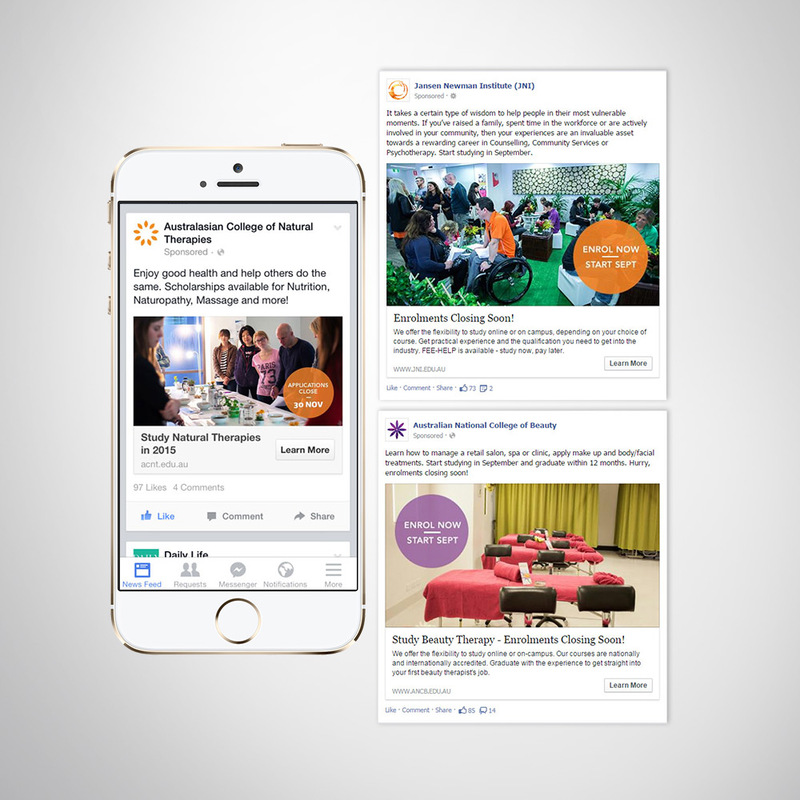 We created vibrant and appealing Facebook advertising artwork to appeal to young people and students. 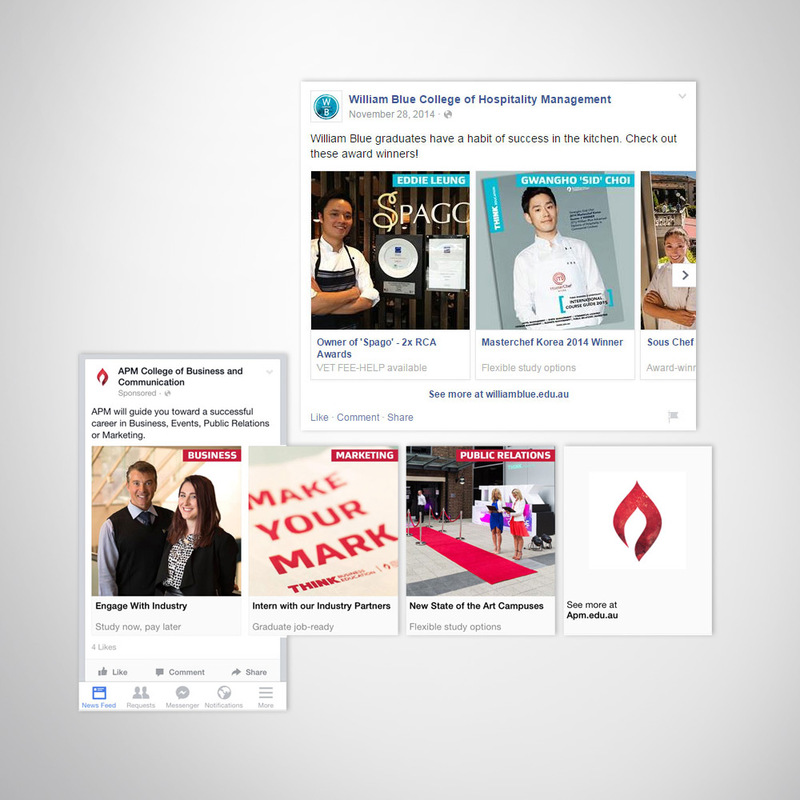 Use a combination of photography, graphics and copy to create compelling and vibrant Facebook advertising to appeal to young people and students. We had to cover all devices and utilised several different advertising options Facebook offered at the time. The campaign successfully contributed to an increase in student intakes for that period. Marketing Consulting, Graphic Design, Copywriting and Advertising Set-Up.